June 17, 1926 – August 19, 2018. Virginia West Patterson. age 92, died Sunday, August 19, 2018. She was born in Gamaliel, KY (Monroe County), on June 17, 1926, to Norman Estes West and Nannie (Hayes) West. She grew up on the Bluff Spring Farm in TN near Gamaliel, KY and attended school at Gamaliel until her graduation in 1943. Virginia attended David Lipscomb College for two years, then George Peabody College for Teachers. It was while teaching in Lafayette, TN that she met the love of her life, Roy Patterson. They were married on September 30, 1950, in Franklin, KY and lived in TN (near Gamaliel, KY) until 1955, when they moved to AZ, where their only son, Larry, was born (Tucson, Arizona). In 1961 the family moved to Page, AZ, where Virginia taught in the Page School District until 1983. After retiring, she moved with her husband, Roy, to Cottonwood, AZ. Virginia moved to Florida, then Oklahoma in 2000 to be near her family, after her husband’s passing in 1995. In addition to her husband and parents, she was preceded in death by a brother, Malcolm West. 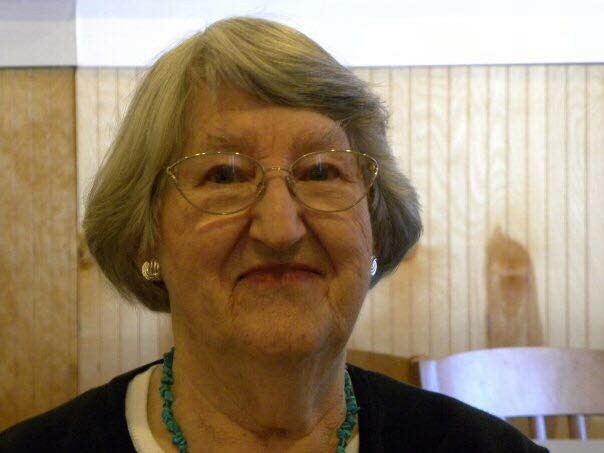 She is survived by her son, Larry Patterson and wife, Kathy, of Charlevoix, MI, her twin granddaughters, Jenny Lansford and husband Duston of Edmond, OK and Sara Pilkington and husband Daniel of Broken Arrow, OK., three great-grandchildren, Caden Lansford, Madison Lansford, and Bradley Pilkington. She is survived locally by brother-in-law and sister-in-law, Bill and Joyce Green of Red Boiling Springs, TN, nieces and spouse, Patricia Ferguson of Red Boiling Springs and Jan and Radford West of Lafayette, TN., nephew, Don and Amy Green of Brentwood, TN. There will be a visitation held at the Anderson and Son Funeral Home in Lafayette on Friday, August 24, from 10:00 – 11:00 am, with a graveside service immediately following at Anderson & Son Memorial Park with Elder Greg West officiating.